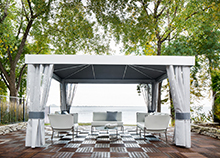 Fresh and spacious, the Abri lets you create the perfect ambiance for relaxing, dining alfresco and entertaining – all in one elegant outdoor space. 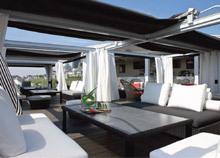 Cabrio is a sophisticated outdoor living experience that gives you the option of an open sky or comfortable shade. 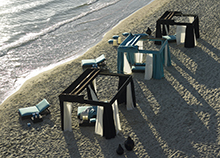 Jardin de Ville’s “Terrace Concept” is designed to transform any outdoorarea into a multifaceted space that will have everyone whispering “Meet me on the Terrace…”. 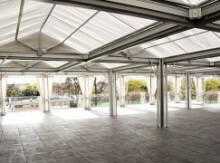 The Square One with its sleek and modern looks is available with a fixed roof. 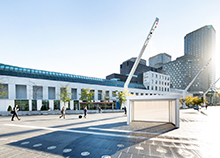 This silver colored pavilion can be adorned with motorized blinds in matching structure color. our trademark has always been its unmatched quality, and creative talent in combining design and function.